Doing letterbox drops in real estate is a tried and true method of generating interest in your local area. But with the influx of new marketing techniques in the online world such as Facebook advertising, LinkedIn outreach are they still relevant? My thoughts are that in this fast-paced world it can be easy to forget that letterbox drops are a proven and extremely effective marketing technique. And you know what they say, when everyone else is zigging, you should be zagging. With vast numbers of agents taking their eyes off the ball when it comes to traditional marketing in order to chase butterflies, you can be hitting the pavement, generating new business and selling more real estate. The humble letterbox drop is something that definitely deserves your attention. And even if you are focusing on social media as well, letterbox dropping real estate flyers can reinforce those other strategies. Aim to be everywhere including inside their mailbox. This article will take you through 5 exciting and highly relevant real estate letterbox drop ideas that you can start using today to generate more leads and win more business. These are the letterbox drop techniques that are working in the market right now. After we discuss each letterbox drop idea we will also show you some templates that you can use right away in Jigglar. Jigglar lets you take these pre-done market proven templates, quickly edit them to suit and print them off. You can be running off these templates on your office printer in the next 5 minutes. Hyper-local prospecting is where you take a local area and really break it down into sub-sections and target those people with a smaller letterbox drop. There’s no better way to say that you know what’s going on in your local area than dropping 100-200 flyers to the neighbours of a new listing. It’s an extremely effective way to get new listing appointments because of herd mentality. When someone sees that their neighbour is selling, it’s tempting for them to ask how much their property is worth as well. All you are doing is facilitating that action by pointing out to people that their neighbours are selling. 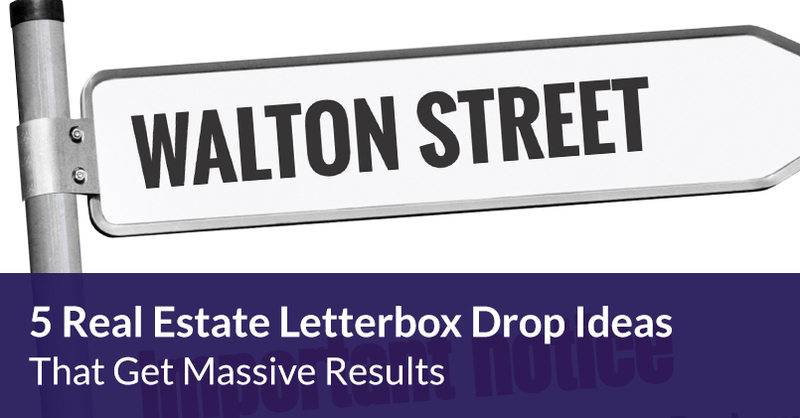 Below we’ll show you our #1 letterbox template for doing hyper-local prospecting. Are you new to your area or just want to expand your network of potential buyers and sellers? 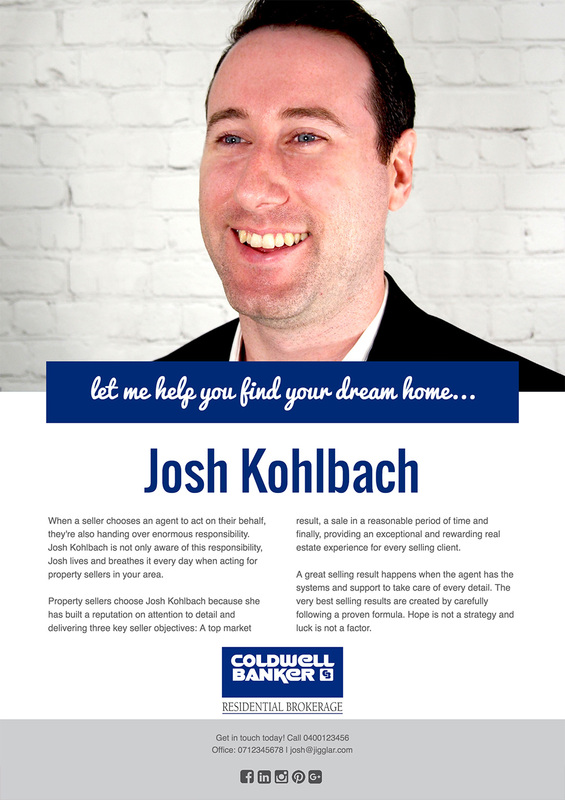 Then an agent profile letterbox drop can get your name out there and into the market. Highlight your strengths and sell them on why they should work with you. Telling people when it’s a seller’s market can be a very effective method of motivating people in the hopes of a quick sale in a fast moving market. 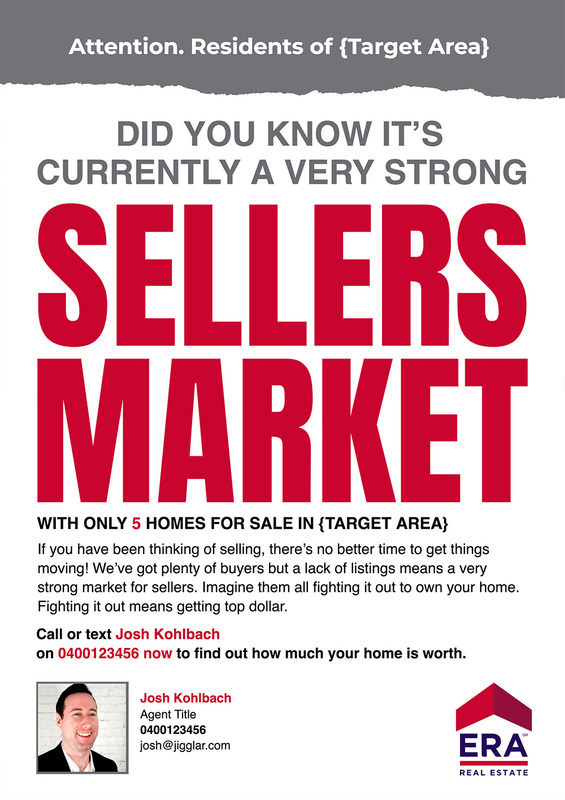 The way it works is by dropping a letter across your whole local area explaining that it’s a seller’s market and that the inventory on the market right now is limited. In essence, you’re complaining that you have too many buyers. Doing this will really light up the eyes of people that are motivated to sell and generate lots of appointments for you. When you’re canvassing a local area for listing appointments it can help to pre-warn people that you’ll be coming around to them soon to give them a chance to lock in an appointment time with you. Explain that you are limited in time and only have a certain number of appointment slots and to avoid disappointment they should call and lock in theirs now. This will play on the scarcity trigger and get your phone ringing. With this strategy you can do small batches of letterbox drops ahead of time to the area you will be targeting in the following week. We are social creatures and one thing you should always do is provide evidence that they’re not alone. Showing social proof can be done in a number of ways but a tried and true method is to combine it with Just Sold postcards or Just Listed postcards. This one-two punch combo can really awaken your local area and position you as the local area expert. This year has definitely had a standout in the Jigglar template archives when it comes to the latest trend of hyper-local prospecting. 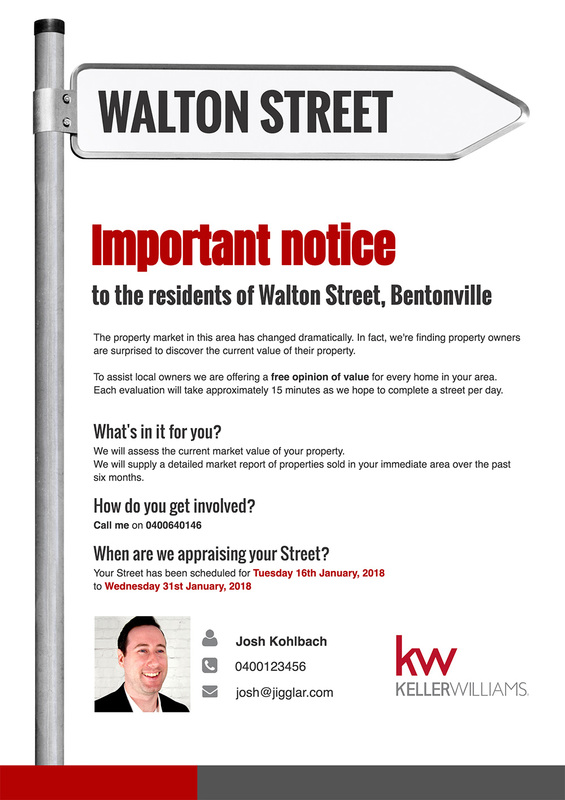 The Important Notice Street Sign Flyer is one of our most consistently popular templates and it’s because people get amazing results from using it. You’ll find it in the Get Listings template category area in Jigglar. We’ve had agents generate over $250k of commissions in 6-months using nothing but this flyer. We’ve had agents be in the top 10 agents for the month generating listing appointments in their whole network using this flyer. We’ve had agents generate over 17 listing appointments from just one letterbox drop using this flyer. These results are not unusual. If there is one flyer that you should sign up to Jigglar for, it’s the Important Notice Street Sign Flyer. Agent Profiles say a lot about an agent and their approach to the market. You want to remain professional and give a good impression. When you’re using an aggressive strategy like shouting about it being a seller’s market you really need to back that up with a punchy template design. When you’re pre-warning people that you’ll be in the area what people are actually looking for is how much their property is worth. 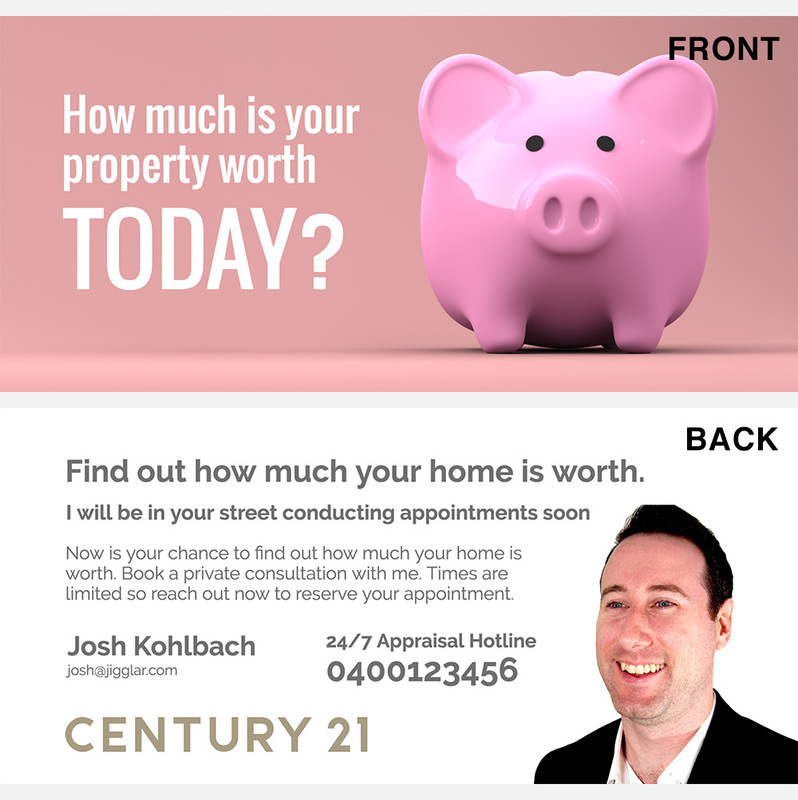 Therefore you can utilise any of the property estimate/value opinion postcard sized mailers for this quite effectively. Depending on how many places you’ve sold recently you might want to choose to feature either a single property or a group of properties in a Just Sold flyer. 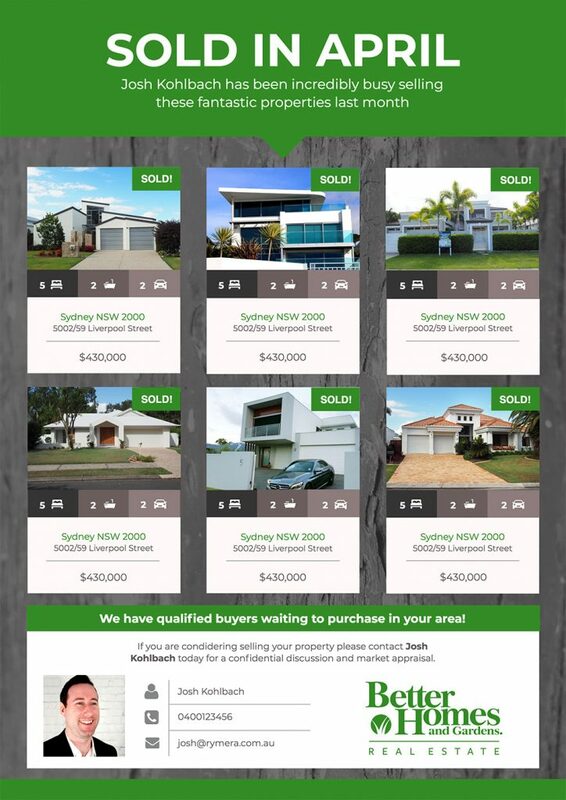 There’s a number of templates you can use for this, but here’s a great example which shows off multiple listings. Just Listed templates again can feature multiple properties, but often just feature one. Here’s a couple of great options. Jigglar is free to access all templates for 14-days, so you can sign up for your account right now and start using them. 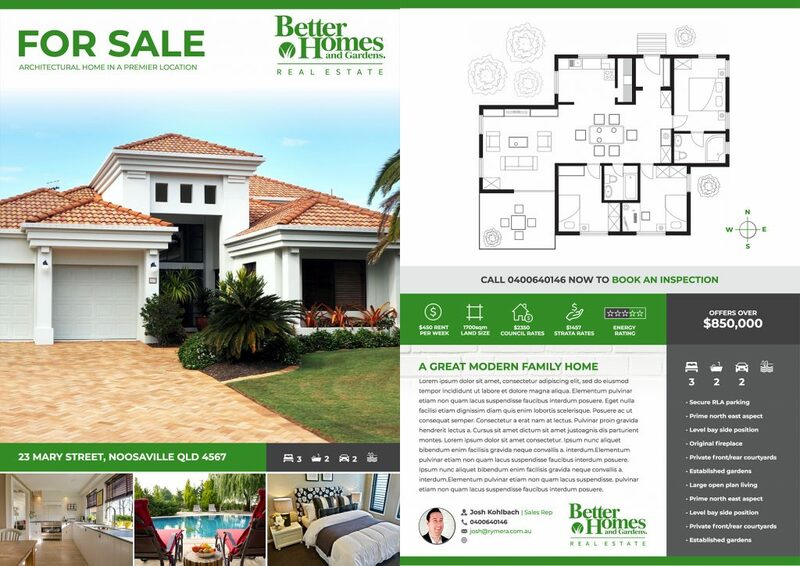 Even free users get access to free templates beyond the trial period so you’ll never be without this amazing real estate flyer creation tool. Click here to sign up for Jigglar if you’re ready now or read more about it here.